Shopping trends have definitely moved toward searching online first for the perfect item—whether it’s a new electronic gadget or a new house. For clients entering the real estate market to find a new home in their desired price range and location, build a new home, or sell their current home, the Internet has made it very simple to do most of the legwork independently. Further searches easily yield information about schools, local restaurants, shopping, and other amenities in that community. It’s all at your fingertips. 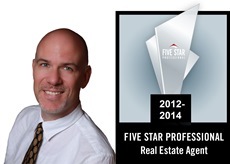 So, why do you need a Realtor®? The professional movers at A Better Tripp Moving and Storage, Inc., work regularly with a number of Houston’s top-performing Realtors® who have the expertise to give their clients the best advice about buying and selling their homes. We talked with Steve Bland, a Houston-based Realtor® with Better Homes and Gardens Real Estate Gary Greene, who explained that the Internet is a great place to start to get educated, but just looking at those listings online doesn’t tell the whole story. “You need a knowledgeable Realtor® to help fill in a lot of the blanks, and that’s where I can help,” he said. What specific important details do consumers miss when they search for real estate solely online? He’s got quite a bit to add on the topic of house hunting by open house. Here are some of his insights. Not all houses have open houses, so if clients are shopping by online open house listing, they’re likely to miss quite a few great properties. Sometimes houses sell so quickly, the open house is cancelled. Without staying informed through their Realtor®, it’s difficult for clients to stay informed of these things, before possibly making a needless trip to tour a house that’s no longer available, or never getting a chance to see a home that might have been perfect for them. Not all houses are on the market long enough to have an open house—that means more missed opportunities for the prospective buyer. The best houses tend to go quickly. With an agent’s “inside” information about housing stock that is available (or about to become available,) clients find many more potential properties than by just searching online. How does a Realtor® do a better job connecting clients to the available housing inventory than they could do on their own? 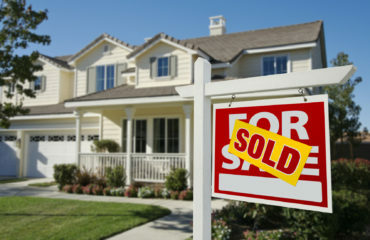 In what ways is it more advantageous to sell a house with an agent as opposed to just doing a FSBO (For Sale By Owner)? Wouldn’t sellers save a lot of money in Realtor®’s commissions that way? Here are some facts that might impact a client’s decision about whether to get a realtor or to sell the house FSBO. The Realtor® knows what the “norm” is for that neighborhood. He or she has the resources and statistics to tell the seller how they fit in to their specific market. On average, FSBOs sell for 18% less than agent-represented properties, and are on the market 68 days longer. Relocating is complicated. If clients are not familiar with Houston, can the Realtor® help with finding good ancillary services to address the other factors involved in moving? He added that in the same way that online searches for the home can come up with an unsuitable result, a random search for a service provider can be risky. “I recommend people I have used frequently, and they like getting recommendations from me, so they work hard to keep me and my clients happy,” he said. Here are some of Steve’s preferred service providers, and Steve’s contact is below.